The CISC returns to the OG Canadian wind tunnel, SkyVenture Montreal this spring after last year’s competition at iFLY Toronto (Whitby). This will be the 6th CISC since SkyVenture opened it's doors and introduced bodyflight to Canadians in 2009. Flyers of all ages and skill levels will have the opportunity to compete in various disciplines. We hope to encourage, with the addition of 2-Way FS Rookie, participation from beginners who are new to, but very interested in competing. 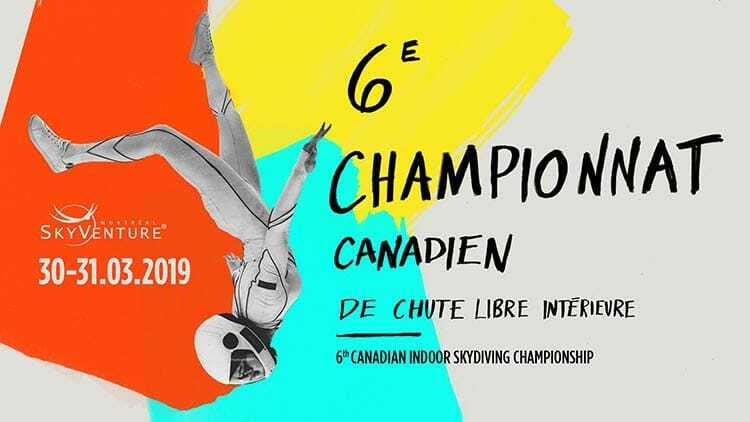 *To compete at the Canadian Indoor Skydiving Championship, a junior competitor must be old enough to fly and under the age of 18 at the time of the competition. More details about entry fees and registration will be communicated soon, stay tuned! *Please note that to qualify for Belgium, a junior competitor must be over the age of 12 at the time of the competition or celebrate his/her 13th birthday during the calendar year in which the relevant competition takes place. The minimum age to participate in an Open Category is 15, in any international indoor skydiving 1st category event.